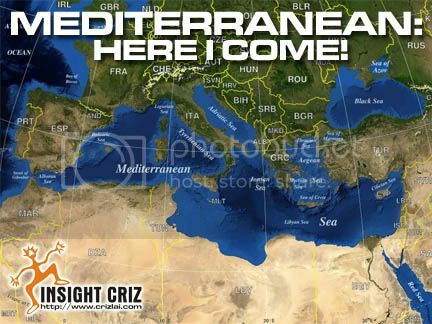 There are twenty one countries along the coastline of the Mediterranean Sea such as Spain, France, Monaco, Italy, Malta, Slovenia, Croatia, Bosnia and Herzegovina, Montenegro, Albania, Greece, Turkey, Cyprus, Syria, Lebanon, Israel, Egypt, Libya, Tunisia, Algeria and Morocco. Which one should I visit to have an enjoyable and mind relaxing holiday? I have checked with all the Mediterranean cruises that are available online and found Turkey to be quite interesting since the country sits mainly in Asia and partially in Europe. The Eastern Mediterranean cruises which focused on Italy, Greece, Turkey and cities along the Adriatic should be fun as I would also have ample time to visit those historical landmarks of Rome, Venice and Athens. As a frequent seafarer, I would love to visit those beautiful ports and beaches that are available in the countries. I have heard so much and hope that I have the opportunity to visit Antalya, a city at the southwestern part of Turkey. The city on a cliff oversees the horizon of the Mediterranean Sea. What a great place for witnessing the sunrise and sunset in the city. I hope I can also get to visit Kas, a small fishing, yachting and tourist town and get some presents for my angling buddies. I’m getting real excited now as I had booked my tickets with Costa Cruise Lines and my trip is scheduled to be in early January 2009. Hooray! Going for 11 days of cruise has always been my dream.